Can you share a bit about your journey to becoming a writer/published author? Looking back were there any early signs you would become a fiction writer? I can’t say that there were any early signs that I would become a fiction writer--but I was always the person at the dinner table that entertained everyone with stories—so maybe it was there and I didn’t realize it. 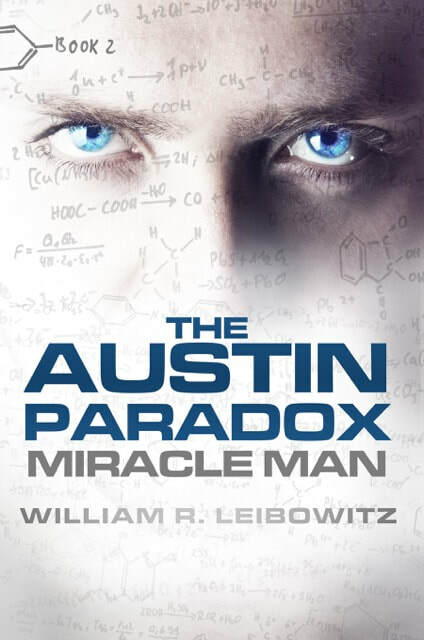 Where did the inspiration for Miracle Man and The Austin Paradox come from? For the main characters that make this story come alive? I wanted to create a believable modern day ‘superhero’ who was not a comic-book character and who had no interest in being a celebrity. I thought that such a person could be inspirational when contrasted with the meritless celebrities that dominate media today (e.g., the reality TV stars who are famous for being famous, but have no real talent). I wanted my protagonist, Robert James Austin, to be an alternative to the cult of celebrity that dominates our society. I also wanted Miracle Man and The Austin Paradox to be vehicles within which I could convey, in an entertainment context, certain spiritual and humanistic messages that mean a great deal to me. One of the underlying themes in these books is the sanctity of each and every human life. As the story of Robert James Austin unfolds, I think the reader will understand that one can never predict the ramifications of one person’s death. Austin should have died as a newborn, but he was saved in the most unlikely of manners; he then went on to change the world in extraordinary ways. His life was not expendable. Were the two books conceived as a series from the beginning or did the inspiration for the second come after the first was finished. About halfway through writing the first book – Miracle Man – I realized that it would take more than one book for the full story of Robert James Austin to be told. At that point, I decided that there would be three books in the series. The Austin Paradox is the second. I try to be disciplined about writing on a regular schedule, but I find that the best time to write is when the muse summons—and then I can sit for hours writing without a break. I envy those authors who are “full-time” writers; unfortunately, I still have to spend most of my time on my “day gig” –i.e., being a lawyer. My favorite part of the writing process is coming up with the twists and turns in the plot. I work hard to avoid the obvious—and to create surprises for the reader so that at the end of each chapter –the reader is tempted to “read just one more”. What can feel like a chore sometimes (but not always) is the tremendous amount of research that I have to do so that my stories ring true and are plausible. 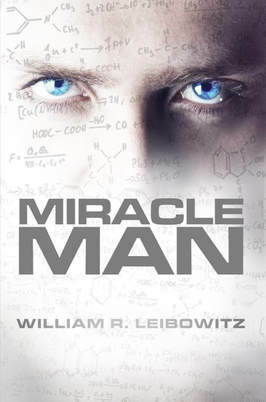 This has required me to do extensive research for both Miracle Man and The Austin Paradox on such matters as: (1) the nature of human intelligence (particularly genius); (2) diseases, treatments, attempted cures—and the medical/scientific methodology relevant to formulating cures; (3) ways in which money is laundered internationally; and (4) bio-terrorism. I know that in order to really engage the reader—I have to be detail oriented and know what I’m talking about. There are many times in Miracle Man where the reader follows the thought processes of your main character - Robert James Austin - as he works to discover new approaches to the curing of an illness. What type of research did you need to do to bring a sense of hard logic reality to these musings? Since I only recently finished writing “The Austin Paradox” –I’m taking a “breather” now, but in the back of my mind, I’m scoping out the third book in the series—which will be quite a departure from the first two. My advice would be to first create a highly detailed plot outline—and take your time doing it. Within the plot –figure out how characters develop as the story progresses. Above all –don’t rush. Writing a good novel is not a race!